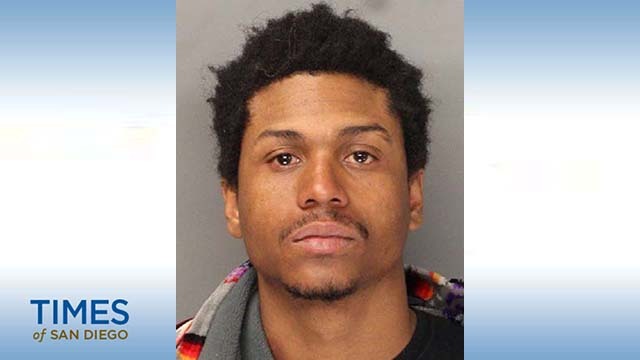 A man accused of fatally shooting a 21-year-old woman in San Diego’s Fairmount Village neighborhood last month was arrested in Las Vegas, police announced Tuesday. Dominique Grady, 26, was taken into custody Monday by the Las Vegas Fugitive Investigative Strike Team in connection with the June 16 shooting, San Diego Police Department homicide Lt. Matt Dobbs said. Jossie Marilyn Ruiz Lopez was found dead June 16 in an apartment in the 3600 block of 45th Street, Dobbs said. The San Diego resident had gone out with friends and returned home around 5:45 that morning, he said. Her body was discovered by family members just after 5 p.m. that day. Grady was identified as the suspect and a warrant for his arrest was issued, Dobbs said. Homicide detectives have not released information about a connection — if any — between the two or a motive for the shooting. Grady is being held on a murder charge pending extradition, Dobbs said.